It’s been a long and oftentimes frustrating season in Gainesville, but the Gators are officially going dancing. As the third to last team announced in the Selection Show, Florida was awarded the #10 seed in the West Regional. Their opponent? The 7th seeded Nevada Wolfpack, coached by Eric Musselman, out of the Mountain West. The game will tip at 6:50pm on Thursday and air on TNT; the winner will likely face 2nd seeded Michigan, assuming they can fend off 15th seeded Montana. The pod will be played in Des Moines, Iowa. On the surface, Florida definitely seemed to be on the bubble. There were definite positives on the Gators’ resume, like beating LSU two out of three times, as well as grabbing a stray win over Mississippi. And there were more than an average amount of negatives to counteract those positives. Only once before in the history of the NCAA Tournament did a team receive a bid as an at-large (Vanderbilt, 2017) with fifteen losses. And it was just two weeks ago that a squalid home loss to a Georgia team that finished with the most losses of any Bulldog team since 1955-56 seemed like it could completely derail the season. However, the metrics were kind to Florida, certainly more so than the eye test, and that’s probably what pushed the Gators over the rest of the bubble and into the field. The Gators finished #31 in the NCAA’s NET ranking- its new shiny toy just introduced this year, as well as #30 in the BPI, #27 in Sagarin and 28 in KenPom. But now, we can forget all about that. Florida is in, they’re dancing, and they can finally breathe, as now they know for certain that they will be competing for the ultimate prize. 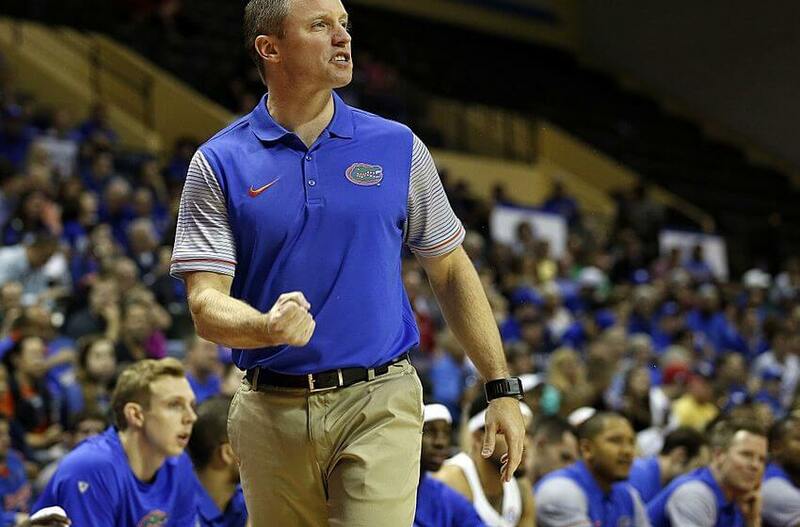 And though nobody in their right mind will mistake the season Florida has had so far for a successful one, White and his guys will have the opportunity to spin some yarn and turn it into a successful one.